At SQN, we recognise the importance of creating cutting edge communications that resonate with target audiences across multiple platforms. Gone are the days of generating content for content’s sake; every second of video, each line of text, every pixel of creative has to leave a lasting impression. It has to make an impact. It has to serve a purpose. 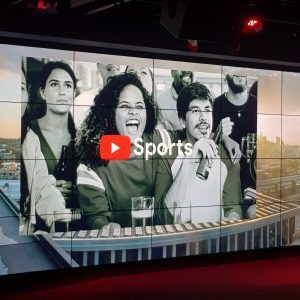 We recently attended the “Sports at YouTube” event at Google’s King’s Cross hub, to discover some of the trends in content creation and publishing, and the role that technology has to play. For agencies like us operating across the fast-paced worlds of tech and sport, it’s crucial to keep our fingers on the pulse. The “Sports at You Tube” event reiterated the integral role that technology companies can play in enhancing content. Guest speakers from Arsenal FC, BT Sport, IMG, Russian TV, Toyota and Paris Saint-Germain all offered insights into how they are utilising YouTube as a way of engaging with their target audiences. YouTube itself is rolling out interesting new developments to help content creators. The ‘Channel Membership’ function allows fans to join and pay a small sum (between $1 and $15 per month) to support that channel. This money is then split 70/30, the same as with traditional advertising on YouTube, and means that content creators have an opportunity to fund their work without having to go to other platforms, such as Patreon. YouTube’s Head of Sport, EMEA, Tomos Grace revealed that out of 6.5bn views of FIFA World Cup content, only 1.5bn of it was from match content. 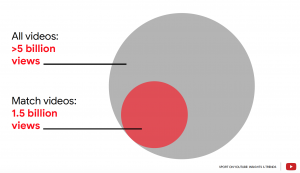 The 5bn bulk was non-match content that shows the potency of a diverse content strategy. While 60% of fans say that YouTube is their first port of call for content after a major sporting event, it’s the stories behind the scenes that often have the biggest impact. It’s important to consider breadth of content: analysis, backstage reportage, athlete or persona profiles and hero pieces. Also the depth of the content that’s being created; this is where technology companies can play a role. 3D, unusual camera angles, 360-degree video, in-car radio, live OTT video – putting the audience into places that they’ve never been before, as well as OTT platforms for live broadcast. Are your audiences looking for a three-course meal or a quick snack? One of the considerations at the Sports at YouTube event was a bite-size, snack and meal approach to content. Kristian Glenn, Sports and News Content Strategist at YouTube, and guest speaker Georgy Sukhorukov, Director of Digital Products at Russia’s Match TV and Sportbox.ru, both talked about the ideal video length they had found. Georgy believes 8-9 minutes is their sweet spot for highlights packages, giving the action enough room to breath and allowing sufficient context to the hero moments. Kristian, meanwhile, suggested 6-12 minutes for sports content. Ahead of this summer’s FIFA Women’s World Cup in France, interest in the sport has been growing on YouTube. Watch time has increased 300% year-on-year, according to Head of Premium Programs & Packaging, Fearghal O’Connor, as more content is being uploaded and awareness grows. Last but certainly not least, is how the National Basketball Association (NBA) is leading the way in utilising data to shape the fan experience. The NBA’s Adam Silver recently announced that the NBA would be reducing the number of time outs available to teams, standardising their length and shortening half time, all based on viewing data they had seen and their desire to make the experience for fans the best it possibly can be by addressing pain points. Data informed decision-making should be at the heart of everything. 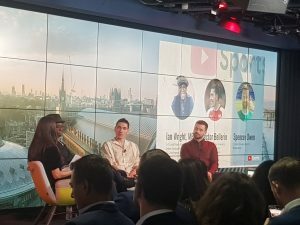 YouTube also highlighted the power of its platform with a panel session made up of Arsenal legend Ian Wright, full-back Hector Bellerin and West Ham fan Spencer Owen. The common ground between these three? They are all “YouTubers”, with Spencer being the veteran in this case. Hector and Ian have recently taken to the platform to enable them to take control of their message and talk directly to fans in a fun and open way. YouTube offers a conduit to fans that mainstream media and other social channels fails to achieve. Thanks to YouTube for the invitation to attend this fascinating event. If you are looking at developing or overhauling a YouTube strategy for your organisation then do get in touch with us to see how we might be able help your revenues, relationships, reputation and relevance.